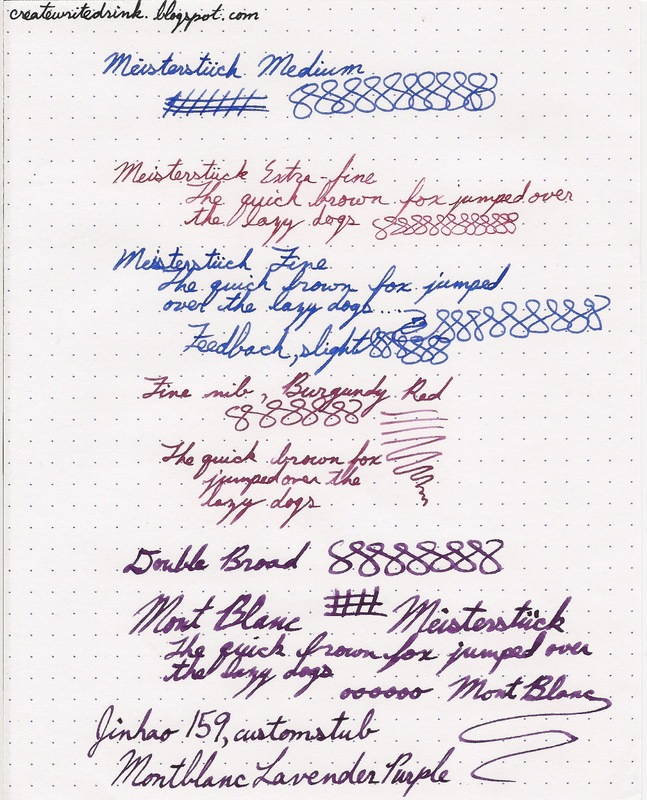 Welcome to the first installment of Yet Another Writing Sample (YAWS), the new series here on Built from Ink and Tea, where I will be sharing - you guessed it - writing samples! I would be more than glad to take requests for writing samples and will fulfill them, if at all possible. Simply post your request in the comment section, below. 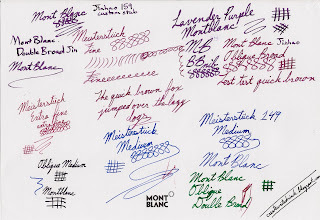 Today's writing sample comes from a trip that I made to a Montblanc boutique. 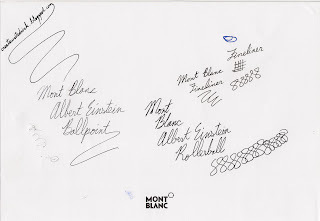 Aside from taking the time to test each of the pens that they had inked in their Meistersück test set, I also got the opportunity to test the Albert Einstein ballpoint, Albert Einstein rollerball, and Starwalker fineliner. The two Albert Einstein pens were awesome in body, yet I found there to be little special in the writing experience. 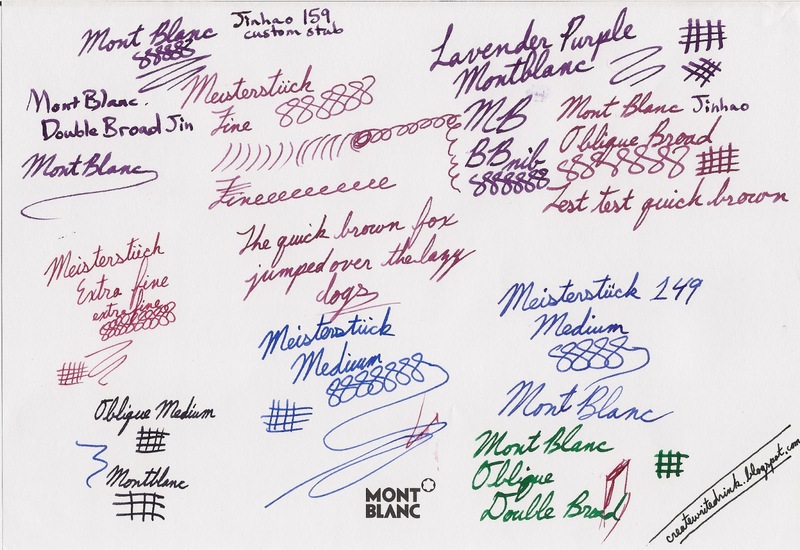 The fineliner proved to be an interesting refill with which to write, feeling a bit like like a cross between a rollerball and a felt-tipped pen with a certain amount of give, almost as though it had a bit of spring-loaded action, when pressing on the paper. The first two samples, below, were written on a Rhodia dotpad. 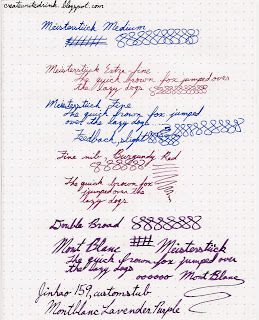 The second two used the in-store Montblanc pad. 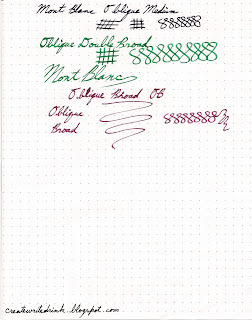 The Jinhao writing was added later for the sake of comparison with the double broad, using the same ink. This post was unsolicited and uncompensated. Feel free to post any questions or comments, below.